Home 2016 Is it Possible to “Win” a Presidential Debate? What does it even mean to “win” a debate? Technically, real debaters (I had a student who called himself “the master debater”) are given points on their performance, so it’s possible to earn points on many criteria: How many facts are stated, how well they were understood by the debater, how well the facts were supported by evidence, whether the arguments were logical, delivered clearly and confidently, and how well they rebut the opponent’s claims with supported facts. 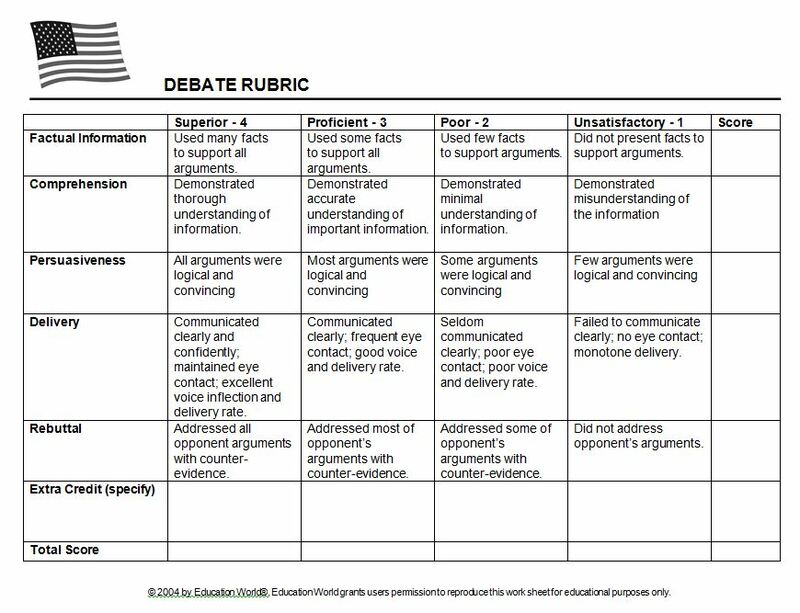 The full formal debate scoring guidelines are here, if you’re interested. Someone should “score” the debate, based on facts presented, and how they are supported. If one side makes a “point,” and it is not rebutted, that candidate should earn points. Perhaps our staff will try to “score” this debate. But to the general public, It’s not about points, it’s about whether they “like” the candidate more because of the debate, and are more impressed with one candidate over the other, based on performance. Thus, “winning” the debate really means “winning” more friends among the public. FiveThirtyEight has a weekly discussion of their panel. This week, they discussed the upcoming first debate, noting past experience. Who will win the first presidential debate? We obviously can’t answer this, but it’s a useful frame to talk about each candidate’s strategies and strengths and weaknesses. . .
How much can debates move the needle?. . .By recent standards, a 3 or 4 percentage point shift in the polls. . .
Is there anyone who just killed it at their debate, got a bounce and never looked back?. . . Reagan never looked back in 1980, but that final debate was right before the election. . . A lot of folks also say that the second Reagan vs. Walter Mondale debate in 1984 was the moment when Mondale knew he was done for. People have compared this year with other years. One comparison has been with 1980. President Carter’s polls were low, but people didn’t know if this “B-Movie” actor-then governor was capable of being presidential. We have the same situation this year, with Hillary having horrible favorability ratings, but people want to know if they can trust the “reality TV star” who has no government experience at all. I think Reagan did so well in 1980 for two reasons. The first is that people saw Reagan on the stage with the incumbent president, Carter, and thought he looked presidential. Meanwhile, Carter looked tired. But really it was about convincing folks that Reagan was a suitable person for the office given that Carter’s approval rating was terrible. . . .one way that the debates aren’t a big plus for Clinton be that the media coverage assumes that the debates will be a big plus for her and so judges things on a curve. . .
What will Trump’s strategy be?. . . Do we think he’s going to employ his primary “counterpunching” strategy? Or is this where his new team’s brainpower will show?. . . I think if she gets under his skin, then he’ll say something he’ll regret. His strategy has to be to not to lose his temper. . . Yeah, the conventional wisdom seems to be that Trump’s goal will be to be as normal as possible. . . The more this election is about Trump, the better for Clinton, and vice versa. The danger for Trump is going on the offensive too much risks making the race about him again — it’s a fine line. The goal here is to make the other candidate look bad, without also making yourself look bad. But I do think that’s the goal more than making yourself look that good. Democrats are giving advice, according to Politico. Donald Trump’s more tightly scripted campaign of late could backfire on him when he squares off against Clinton on Monday in Hempstead, New York, Democrats believe. He won’t be able to rely on the teleprompter he’s been using of late, they say, and Trump’s only recent extended interview with The Washington Post showed that, left to his own devices, he’s apt to stumble back into controversy on issues like Barack Obama’s birthplace. Trump showed in the Republican debates that he’s best as a counter-puncher, leveling spontaneous one-liners at his attackers that left them reeling. . .In one debate alone, Trump dubbed Sen. Marco Rubio a “choke artist” and Sen. Ted Cruz a “basket case.” Rubio notoriously jumped in the sandbox but lacked Trump’s talent — if you want to call it that — for making his zingers stick. . .Those moments should be instructive to Clinton, Democrats say, and serve as a warning that she should not rush into a war of words with the pioneer of put-downs. Meanwhile, Laura Ingraham, on Fox, gave Trump a way to avoid a “gotcha” question. “‘I’m going to solve the problem for America. She can pass the pop quiz but I’m going to pass the most important test which is leadership and competency and delivering results for the American people,'” Ingraham added. The big problem for Hillary is that people just assume that she’ll win. If she wins, it’s expected; if she loses, she just breaks even, she will lose among the public. The CNN/ORC poll asked respondents who they expected would walk away the winner from the first debate and 53 percent chose Clinton to 43 percent for Trump. . . In recent presidential elections, Democrats have traditionally been favored to perform better than their Republican counterparts in the CNN/ORC poll. In the past six presidential elections, only once has the poll found voters predicting a Republican victory in the debates. That came in 2004, when the poll narrowly predicted Bush would perform better than John Kerry. As noted at the outset, image is more important than facts in a debate. Sometimes the moments that have captured the public’s attention had little or nothing to do with the substance of a candidate’s answer to a question on policy. In 2000, Vice President Al Gore was widely viewed as condescending when he continually sighed and interrupted as then-Gov. George W. Bush answered questions. In 1992, President George H.W. Bush was captured by television cameras checking his watch during a town hall-style debate, while his opponent Bill Clinton used the forum to connect emotionally with voters’ concerns as they asked questions about the economy. The impact of a candidate’s appearance and body language has been a factor in presidential debates for as long as they’ve been televised. In 1960, during the first ever televised debate between John F. Kennedy and Richard Nixon, Nixon did not wear makeup and sweated profusely under the glare of the hot lights. By contrast, Kennedy, a naturally telegenic candidate, appeared cool and at ease while the more experienced Nixon looked pale, nervous and uncomfortable. If you’re interested, the full Kennedy-Nixon debate is available here. Previous articleWill This Debate be Different? People need to remember that Hillary was expected to be coronated no matter who she ran against. Now she’s in a real horse race.